You can use three chords C, F, G7 to strum this hymn. How God leads people to write hymns can be a dose of encouragement and inspiration. 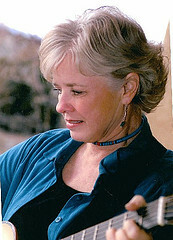 “Seek Ye First” was written by Karen Lafferty in 1972 when she was 24 years of age. According to the Psalter Hymnal, Lafferty wrote the hymns after she had attended a Bible study one night. Struggling with financial difficulties after recently starting a full-time music ministry, she returned home that night with new encouragement. Others appreciated its beauty and simplicity, and the song soon gained popularity, eventually providing the support that permitted her to continue and develop her ministry. According to the “musiciansformissions” website, Lafferty is now working on writing a book about the whole experience. I look forward to reading it — she shares on the site how people have written to tell her how the song has impacted them. As a teen, I’d thought that “Seek Ye First” was my youth group just singing the verse. I knew that one of the guitarists, who strummed while we sang songs in our group on Sunday nights, was just learning the guitar. She told me she spent hours practicing the chords for the song. Not until I heard a recording of the Maranatha singers performing “Seek Ye First” did I realize our group was singing a hymn that was fast becoming a very popular song. I have enjoyed singing and playing “Seek Ye First” — guitar, ukulele, recorder, clarinet, Appalachian dulcimer, Native American flute. And I decided the ukulele gospel song this week would be “Seek Ye First.” As I looked for the copyright on the song, it was then I discovered Karen Lafferty and her interesting story. Karen has a new album and you can listen to her songs on MySpace.